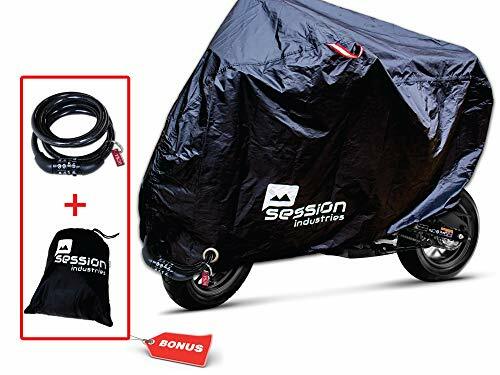 Protects your bike from dust and spills when garaged. Made from a new water resistant and breathable non-scratch material. Folds easily for storage. For indoor use only. 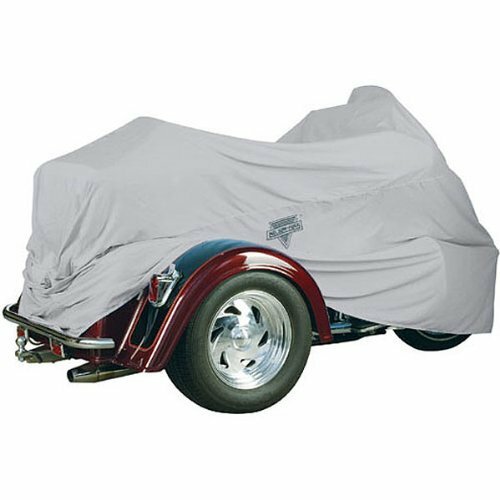 Available in Gray, Fits Trikes upto 65 inch rear width. Two-year manufacturer's warranty. Note: Wait for bike to cool before applying cover. 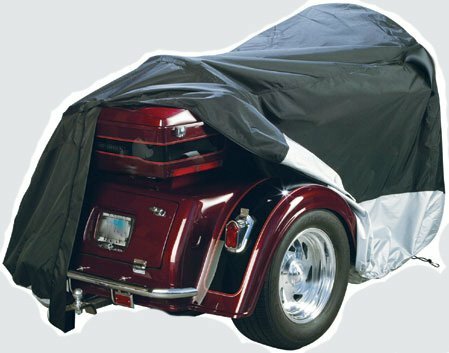 Trike Cover: Heavy-duty, top-of-the-line, all-weather cover that is designed specifically for trikes. 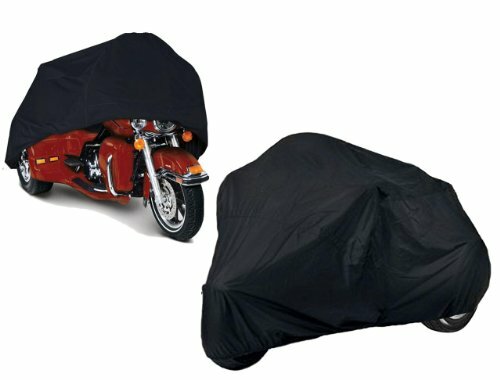 Waterproof seams, 300 denier polyester with polyurethane coating. Going on a road trip? Or Store your bike outside? 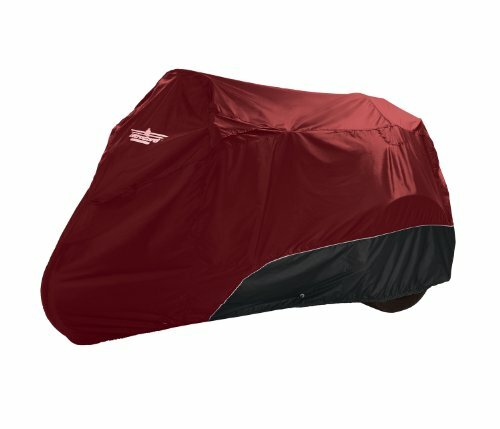 This half cover is perfect to keep your seat dry from morning dew and moisture and any GPS mounts or valuable custom instrumentation protected. 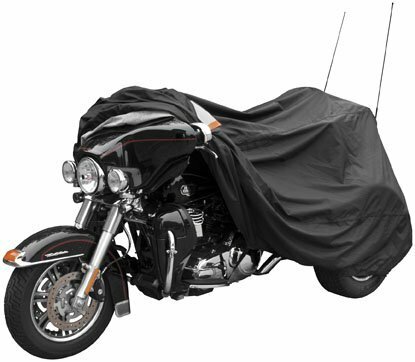 No more worrying or wiping - simply remove the cover and hit the road! 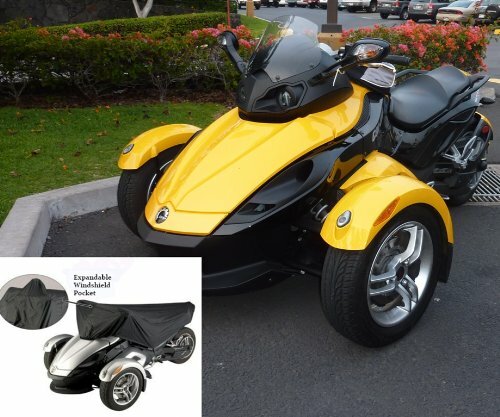 Made for Can-AM Spyder Sports ST-S model Half cover has expandable pouch to accommodate larger windshield. High quality 100% polyester with PU coating and UV treated fabric. All sewing seams are electronically heat sealed with clear tape for 100% waterproof. Soft windshield liner to prevent the scratching and hazing. Snug elastic hem all around for better fit. Come with carrying bag. This cover will NOT fit RT models. 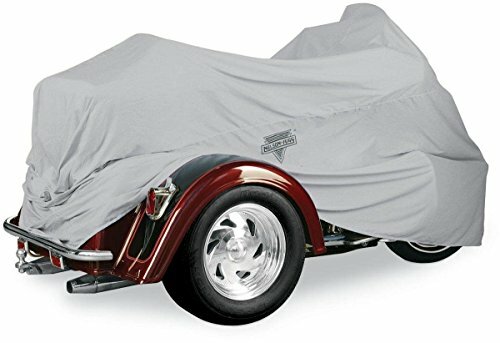 Want more Trike Dust Cover similar ideas? Try to explore these searches: Team Logo Necklace, Sensual Water Based Lubricant, and Marvel Heroclix Shield.